Are you going to be alone on Valentine's Day? It's really not so bad. It can even be fun, and believe me, everyone's been there at one time or another. There are lots of reasons that you may be going solo. It could be because you haven't found that special someone yet, or maybe your significant other is out of town. I didn't get married until I was 35, so I was alone for many years. Whatever the reason, Valentine's Day doesn't have to be tough if you are alone. So if you are looking for some things to do while everyone else is off celebrating, check out this list. 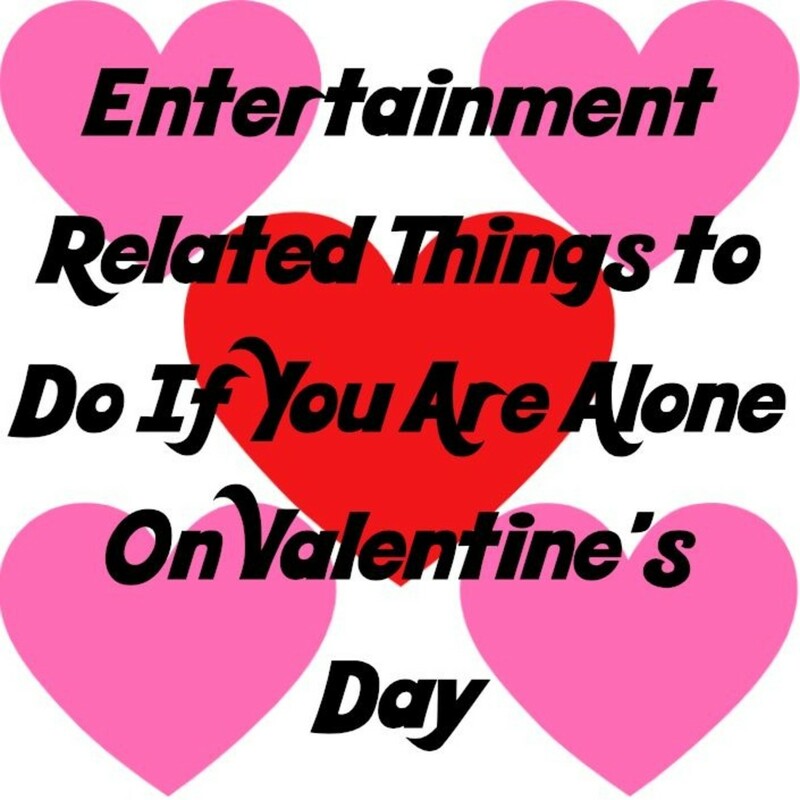 Are you going to be alone on Valentine's Day? Treat yourself to your favorite take out meal and get it delivered. This is usually my preferred method of celebrating solo. I'll get Chinese food, rent a couple of adventure movies, and enjoy the evening. Brighten up your space by buying yourself a bouquet of flowers. The cheery blossoms will make you smile for quite a while. Just step into any store and you'll be able to find any kind of chocolate you can think of. Pick out your favorite, preferably in one of those fancy heart shaped candy boxes, and enjoy your special treat. Valentine's Day isn't one of those holidays where everything is closed. If you are going to be alone, then schedule a hair appointment. Whether you stay with your current style or go crazy with a whole new look, it's up to you. If you are stressed out because you are alone, do some yoga and relax. You can do it at home, or at your local studio. Treat yourself to a spa day. You're sure to leave relaxed, refreshed and renewed. What could be a better feeling than that? Dust off your apron, decide on a menu, go shopping, and cook yourself a gourmet meal. 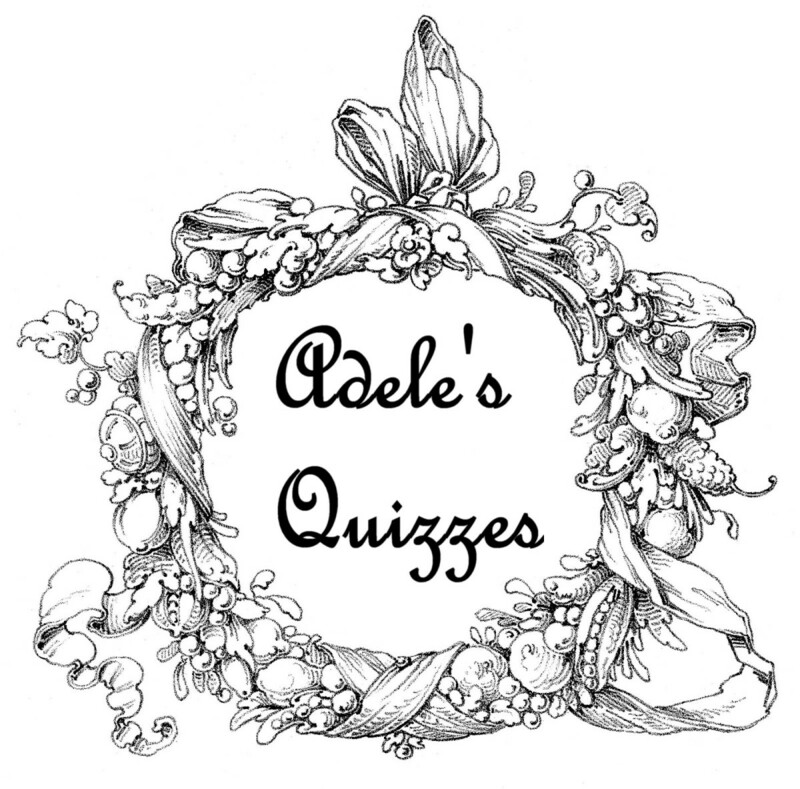 Test yourself with some new skills. The nice thing about cooking for yourself is that you'll probably have leftovers, so you can enjoy the fruits of your labor for another day or two. 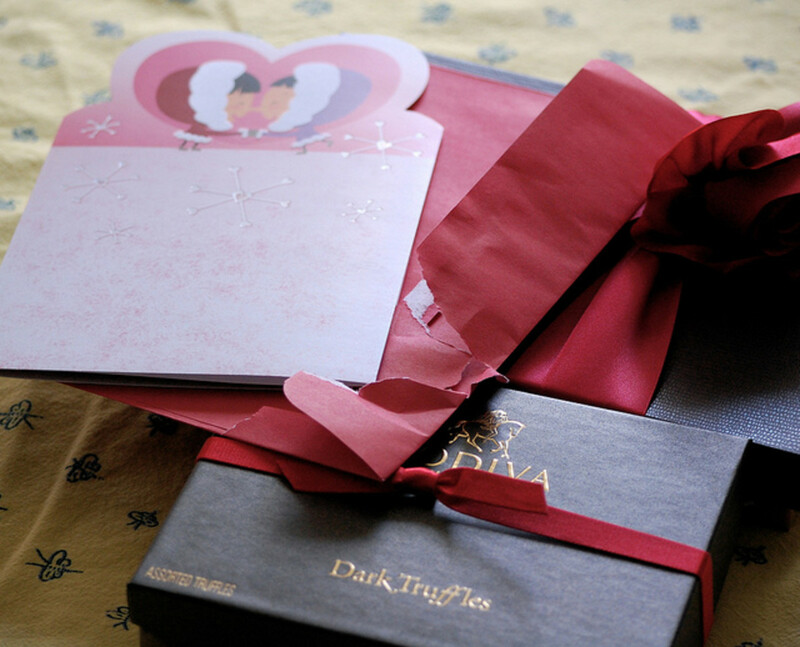 Men spend about double what women do on Valentine's Day gifts. Spruce up your nails with a mani/pedi. Celebrate the day by choosing a fun red or pink color, and, if you are really feeling crazy, have the nail technician paint a heart on your nails or add a little bling. Another one of my favorite ways to celebrate, retail therapy is great to pass the day. There are plenty of sales and, if you go to the mall, the stores are pretty empty. Shopping tip: Early February is a great time to get extreme bargains on winter coats. The spring items are arriving and stores want to get rid of inventory. Don't forget that your pet is your Valentine too. 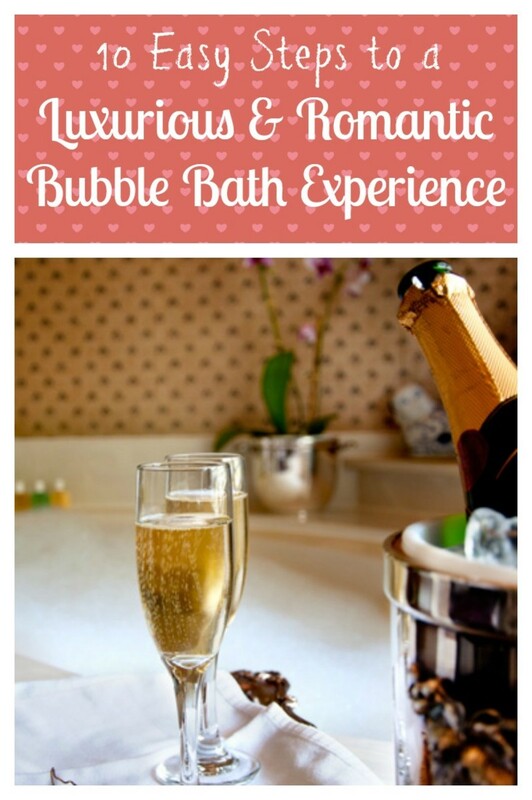 Why not pamper him or her with a their favorite treat or activity? A game of fetch or a trip to the groomers would be fun for both of you. Depending on the book, you may be able to read it in one afternoon. Just don't make it a romance or you'll be reminded that you're alone on the most romantic day of the year. Communing with nature is a great way to relax and get your mind off of things. Go for a nice long walk or hike to get your mind off of being solo. If you have a friend who's also alone on the holiday, invite them along. Going with a hiking buddy is a good idea for safety reasons too. Hit the gym and work off all of the chocolate you've been eating in anticipation of being alone on the big day. You'll feel better about yourself and you won't be sitting around your empty apartment. If you live in an area where the weather isn't brutally cold, then dust off your bike and go for a ride. Get your friends together and make it a party. Valentine's Day is in February so, depending on where you live, spring is right around the corner. What would be better than organizing your closets, and getting a handle on what clothes you have and may need? Everyone's fridge needs to be cleaned out from time to time, so if yours is getting pretty nasty, then it's a great night to clean it out. OK, so this isn't even close to being celebratory, but everyone needs to do laundry, and if your stack is getting high, then take care of it. Most of your friends will be out with their significant others, so you won't be blowing off other plans. Best of all, you'll have clean clothes to wear. 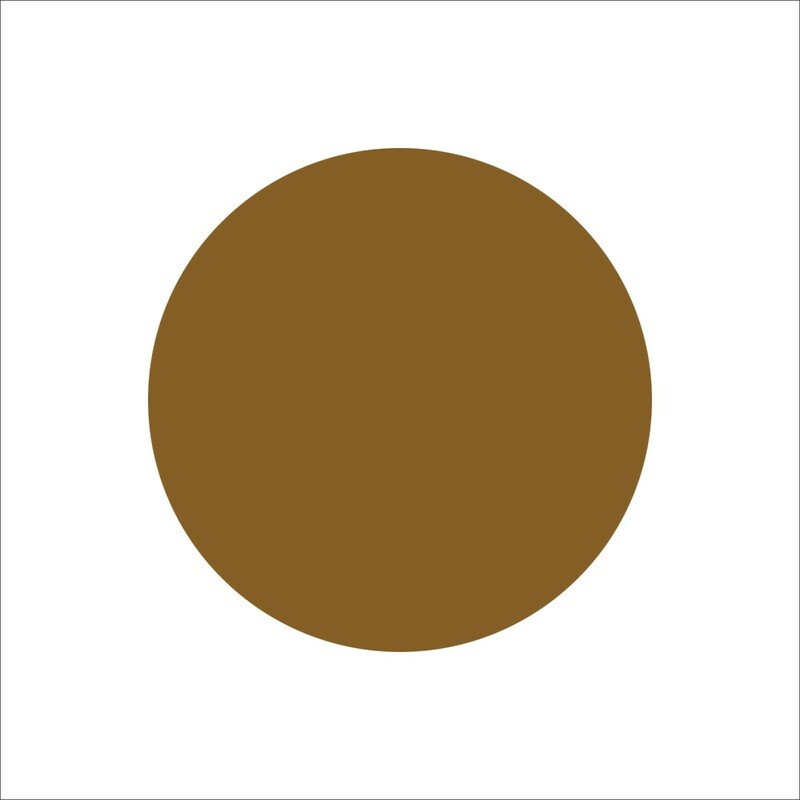 In your circle of friends you probably aren't the only one that is going to be alone. 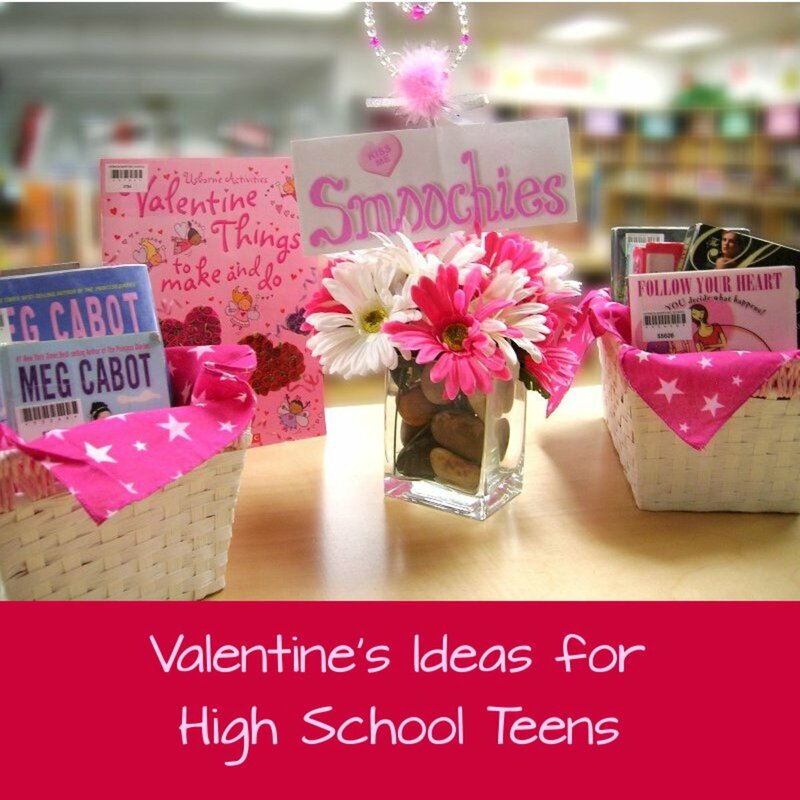 Why not throw a Valentine's Day party? Everybody loves a party and they'll appreciate an event that won't leave them sitting at home all night, wishing they had a special someone by their side. A friend of my family threw one every year, beginning before I was even born. They were the hit of the holiday among her single and married friends. Load up on snacks, stream your favorite movies or television show, sit back, and enjoy. The day will be over before you know it, and you'll have gotten some good entertainment. This, and some takeout, is always my preferred way to spend the day when I'm alone. 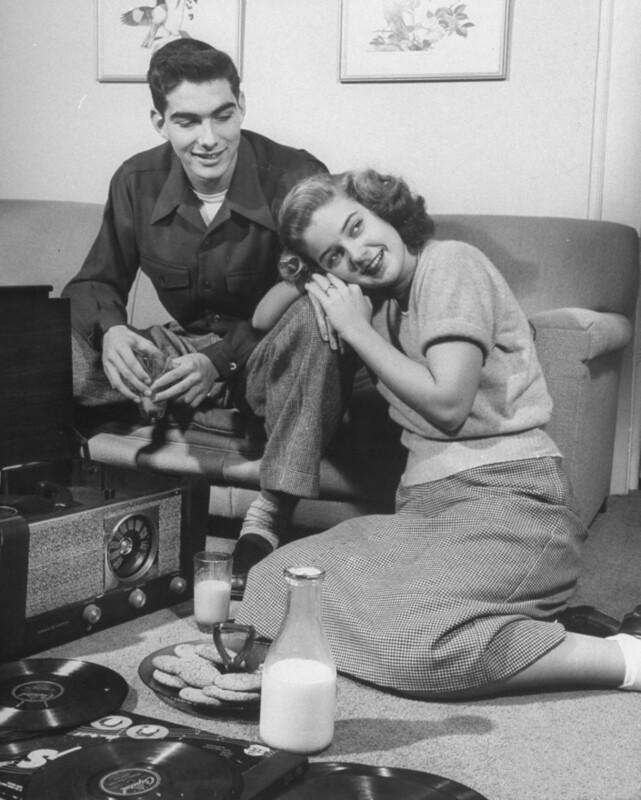 One thing to remember when deciding what to watch, is not to choose something too romantic. It will just remind you that you don't have a Valentine. I usually go with James Bond movies. Movie theaters are always open, even on most holidays. Check out what is playing and get a big tub of popcorn. And don't be self conscious, plenty of people go alone to the movies. Valentine's Day is the second most popular day to send flowers. The most popular one is Mother's Day. If you are a crafty person, then make that project you've been putting off. It's the perfect day to do it and you have something nice to show for your work. Once you start watching videos on YouTube, you'll be watching them all day. Make them funny so you are laughing the day away! Spend some time surfing the net. Check out potential vacation spots, learn some history, or catch up on the latest entertainment gossip. 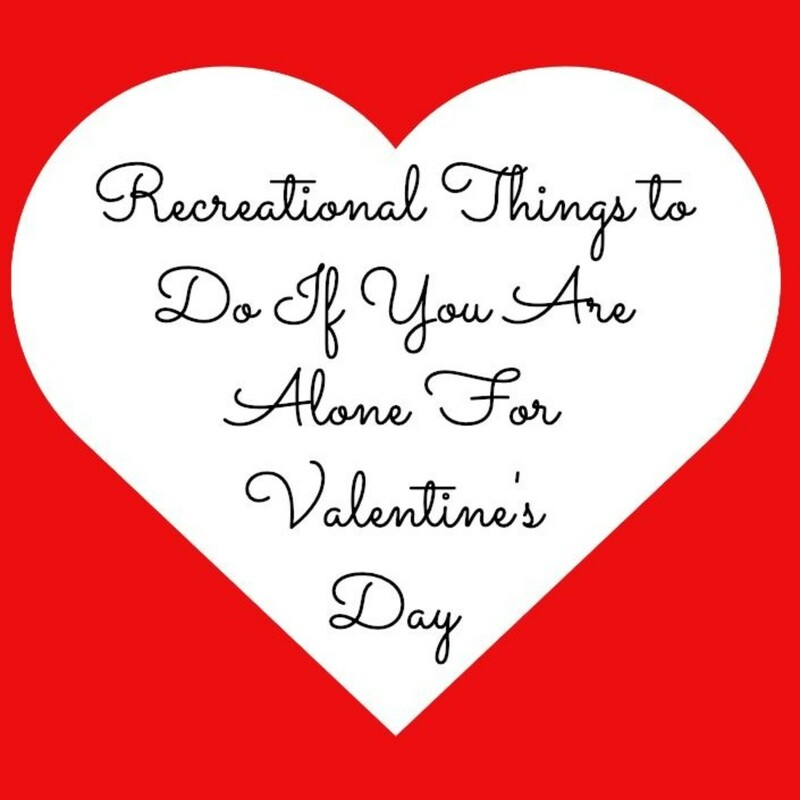 It's better than sitting around an empty apartment, lamenting the fact that you are alone on Valentine's Day. 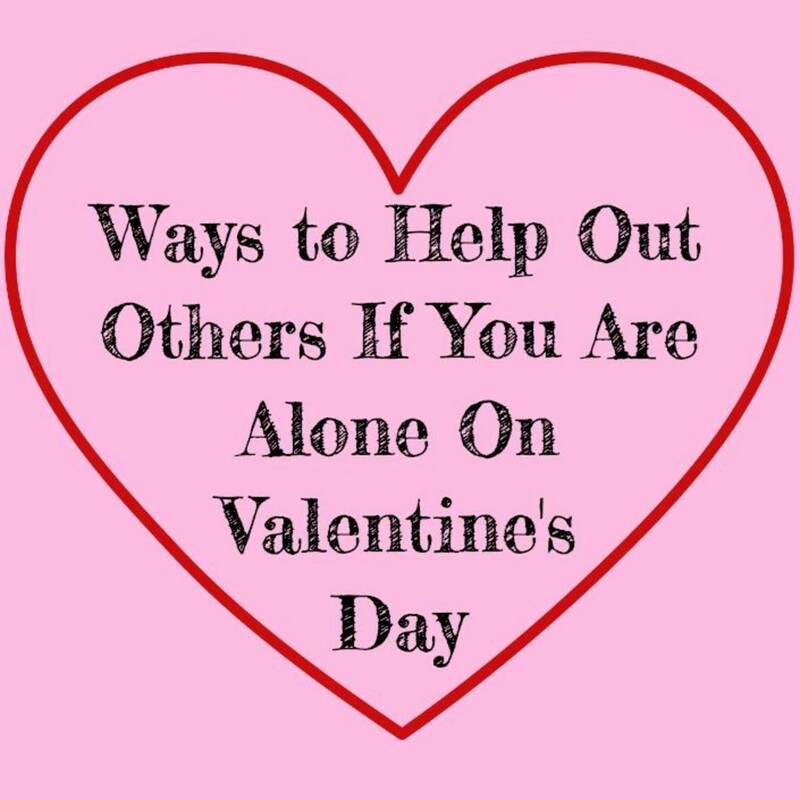 If you feel like doing something for others on the day of romance, there are many organizations that need volunteers. Why not check out your local senior living facility? I help out at my Father's nursing home and they are always looking extra helping hands. 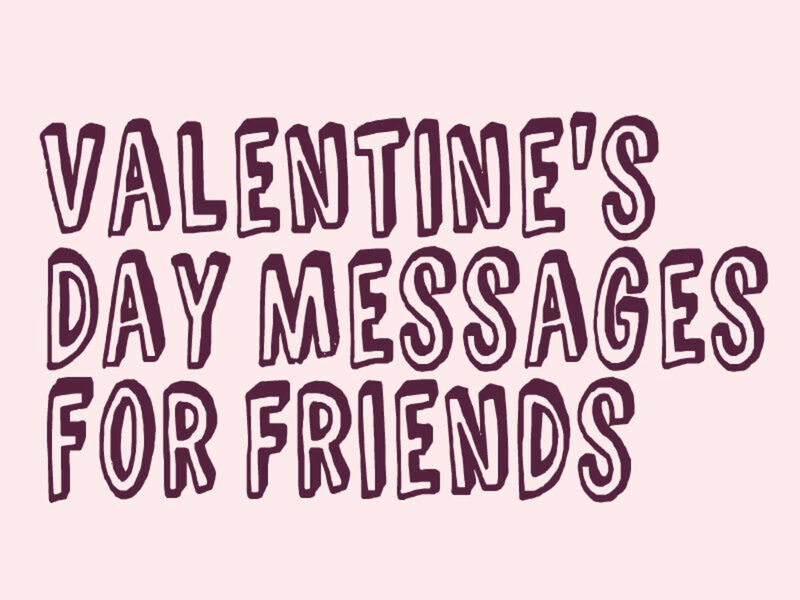 Many of the residents are missing their loved ones, and you could make someone's day by being their Valentine. 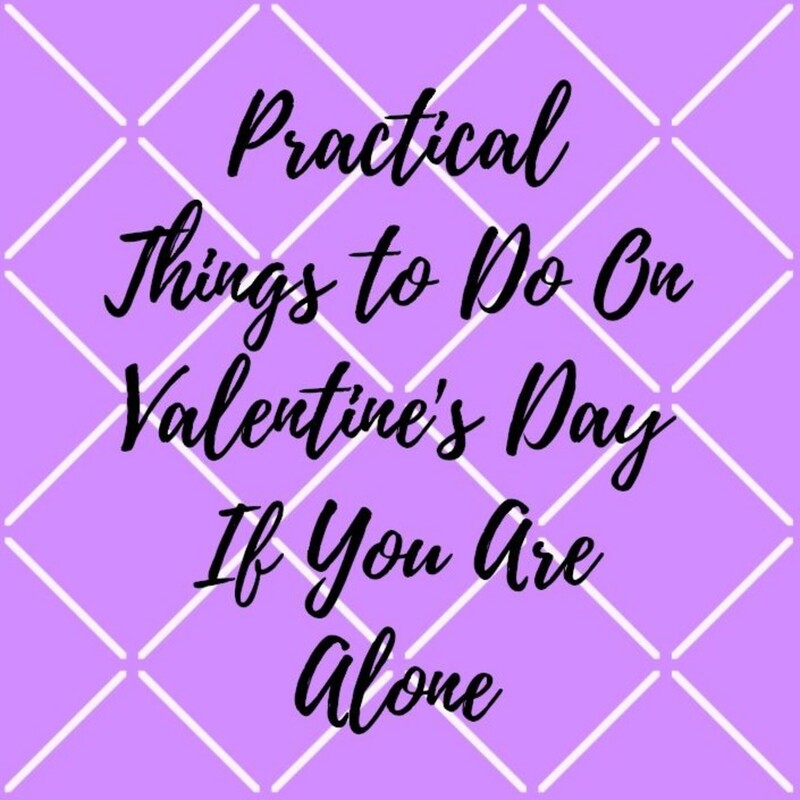 This isn't the most glamorous thing to do on the day of love, but if you have friends or family that want to go out to celebrate, lend them a hand and babysit for them. They'll appreciate it, and you'll have a good time hanging out with the kids. If you charge for babysitting, it's usually a good night. I did this in high school and college and, depending on the family, would get paid double my normal rate. That took a bit of the sting off of being alone. 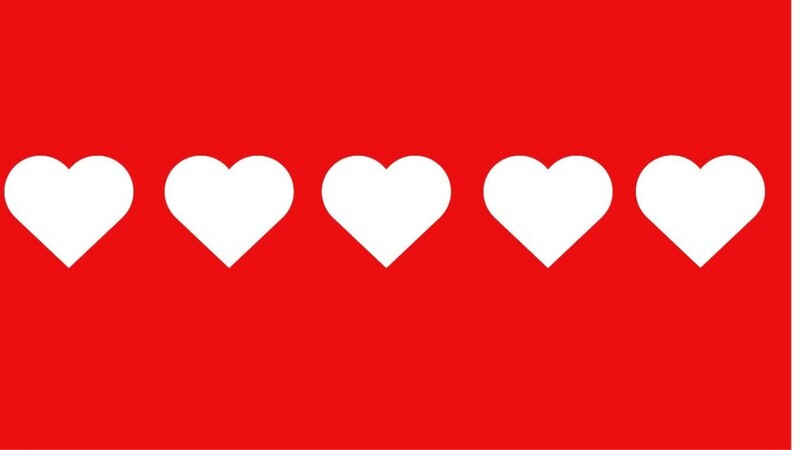 Valentine's Day is the second most popular holiday to send cards. Christmas is the first. 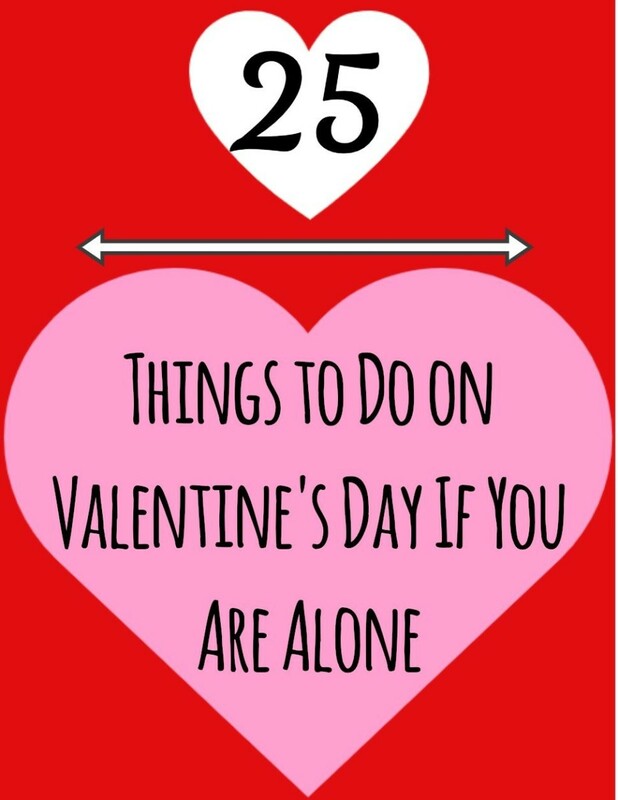 Whatever reason you are spending the day alone, there are plenty of ways to make it special. Just give it a little bit of effort and keep a sense of humor. Valentine's Day Can Be Overrated! thanks Beth - I'm all for pampering myself any day of the year! Thanks for reading and commenting! 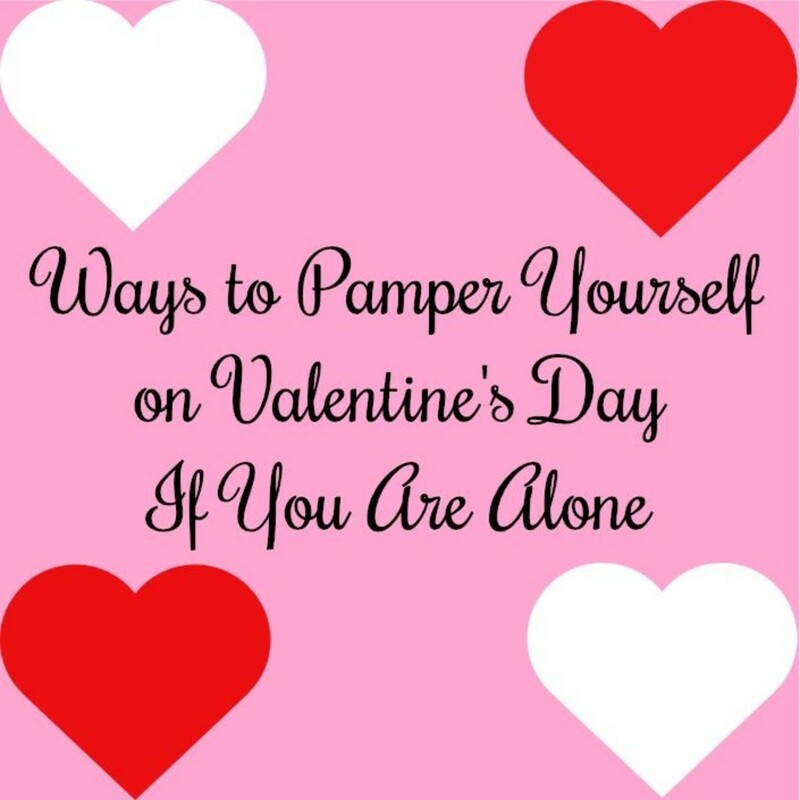 Hi Thelma - Yep, pampering is a good way to go if you are on your own or with someone on Valentine's Day. I love facials so that is a good option. Thanks for reading. Thanks Liz - I agree, Valentine's Day is definitely a holiday for card companies and florists, but I do like a little celebration. Very interesting ideas. I would go for a pampering Valentines Day and have a facial and body massage at a spa. That would be great. This is a great list of alternative activities. Card companies and florists do well out of Valentines Day. Glad you enjoyed the ideas listed. Thanks for reading Bronwen. I like the volunteering idea too. Maybe because I help out at my parents' facility from time to time. It's a good to spend Valentine's day. Thanks. An interesting article, but I'm sorry that you have not mentioned the real name of the day, St. Valentine's Day; nor did you mention the saint after whom it is named. However, you had many great ideas, which I enjoyed reading. These ideas are great ones to consider. My fav is to do volunteer work with children or older people, though doing something creative would be a close second. Valentine's Day is a commercial affair that leads people to have unreasonable expectations about life. Showing loving care to others is one of the best ways to face the realities of life. Thanks for offering up some practical ideas for dealing with this holiday.